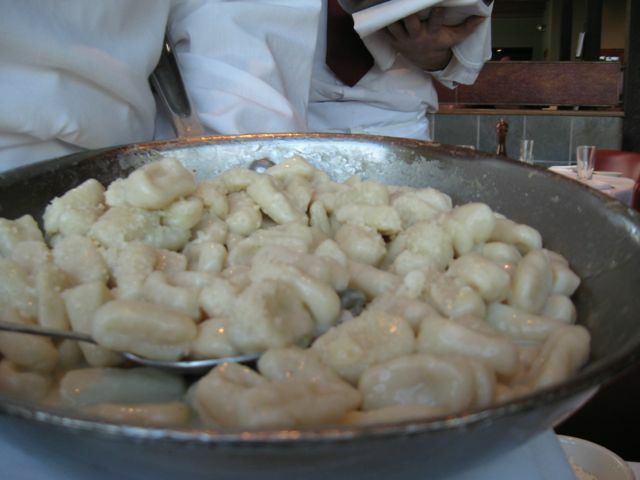 Eleven is listed as one of the “best restaurants in Pittsburgh” and it probably is. I met very old friends there. My friends are sophisticated world travelers who have dined at many of the top restaurants in the world. But, I think they close their eyes to some of the local deficiencies. 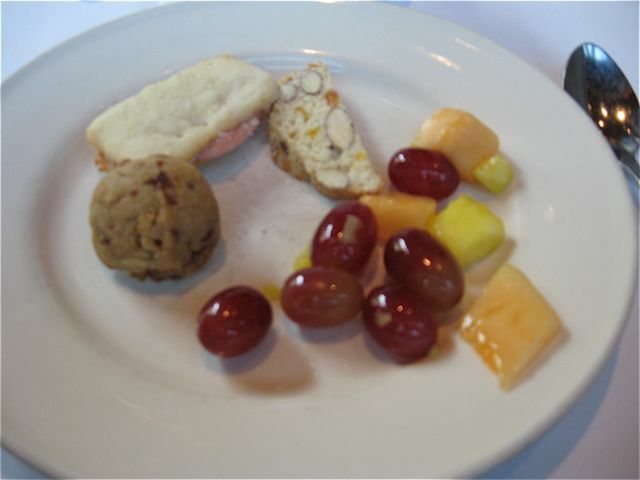 It was a nice meal with very good company, but certainly not up to “A” level standards. 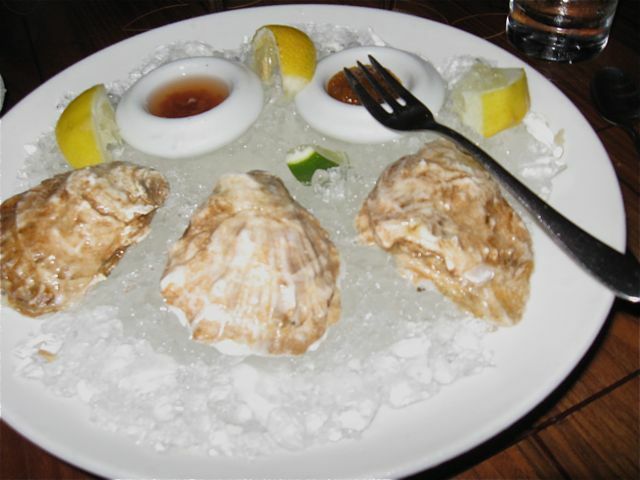 Nice plate of oysters. I forgot to take the photo when they were in the shells. Tuna tartar was very good. 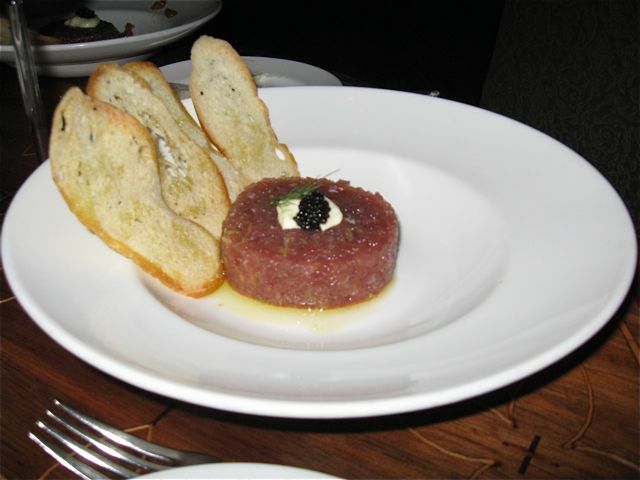 Very finely chopped tuna without additional spices or vegetables other than the crème fraiche and small amount of caviar–quite good. 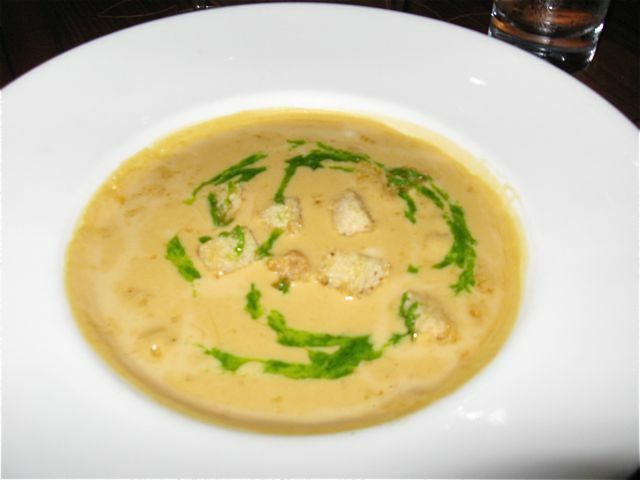 Creamy ham and white bean soup–very nice. 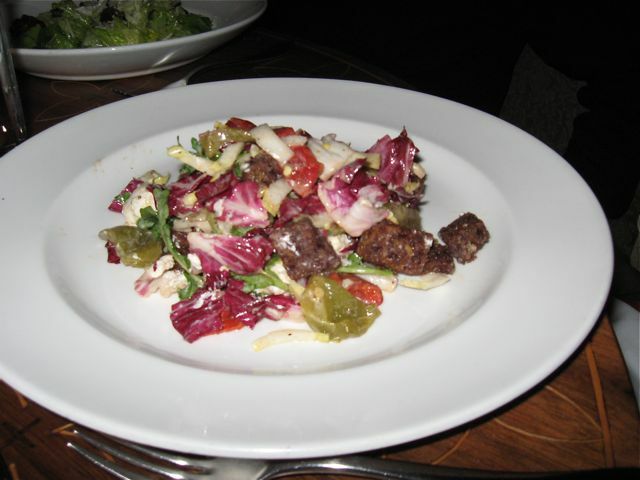 Arugula and lamb salad. I didn’t taste this, but friend said it was “good”. 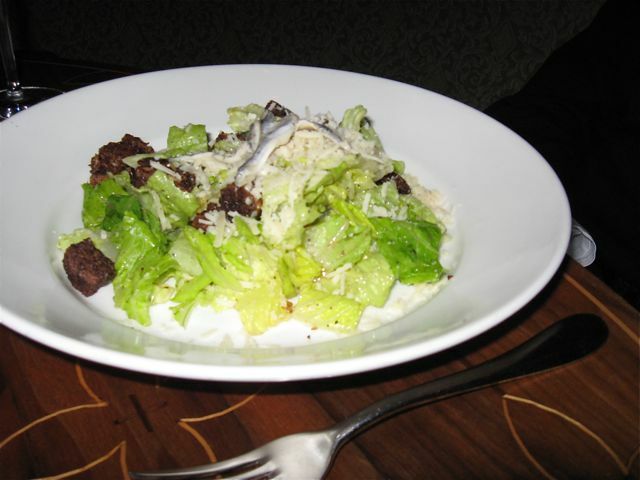 Caesar salad–my friend liked his. 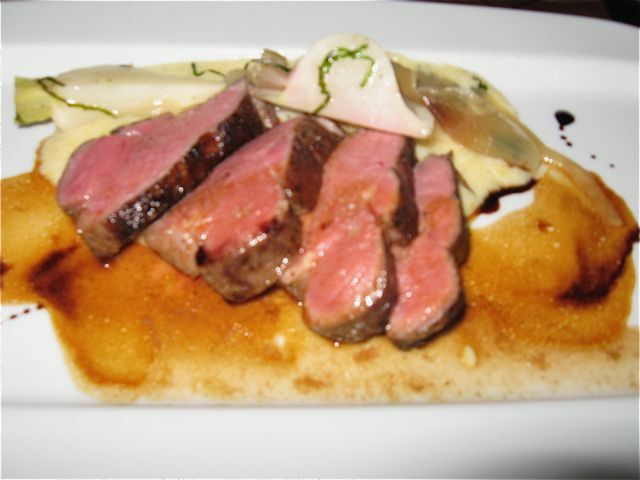 New Zealand lamb with polenta–lamb was very good, accompaniments were lousy. Over-all Eleven was just another meal. Early Saturday morning I thought I would have one of the famous sandwiches at Primanti Bros. I chose to go to “The Original” at 8 AM. 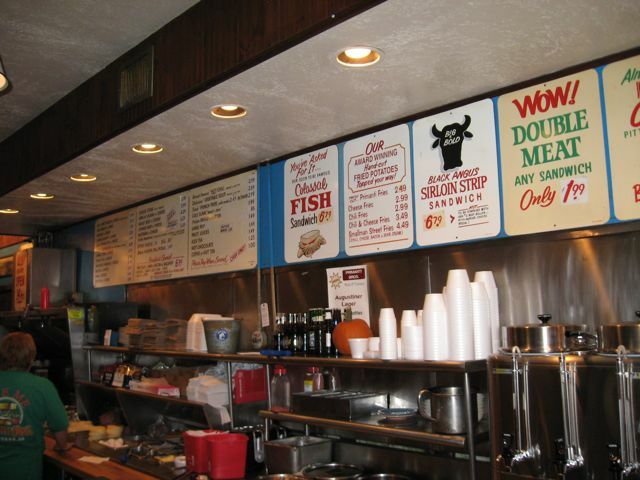 Inside are a few tables and a counter…nothing interesting plus a surly fat bleached-blond waitress who was about as helpful as the Styrofoam cups. 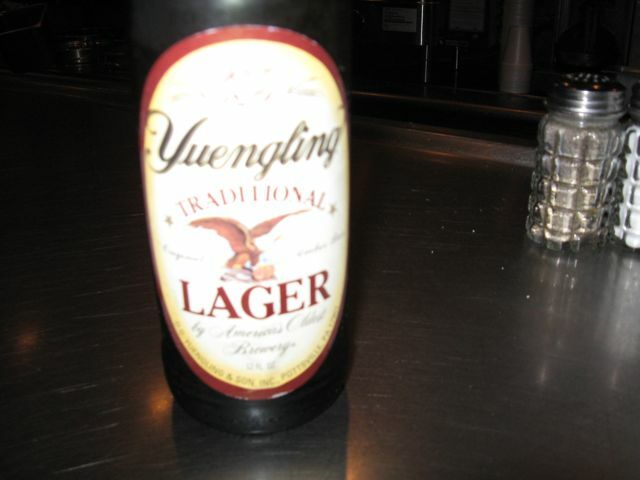 When in Pittsburgh…Yuengling is a local beer that I got to like…so makes for a good breakfast drink, right? Who needs orange juice? 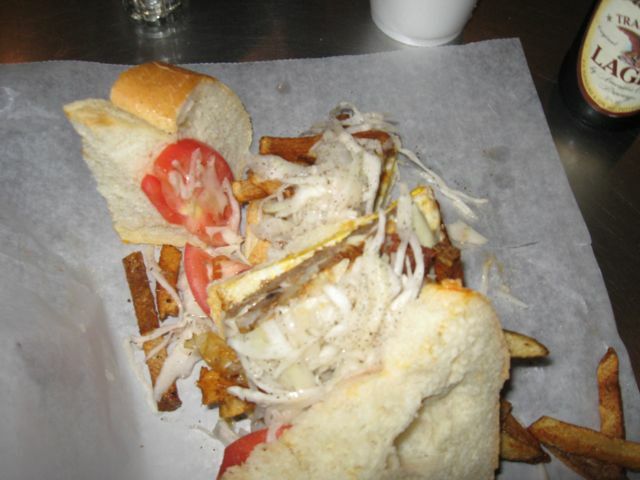 Philly cheese steak sandwich with egg and the Primanti signature–the fries and coleslaw in the sandwich–what a MESS! I don’t know why anyone would want the fries and slaw in the sandwich and on top of that lousy slaw and not hot fries…the “cheese steak” was over cooked meat tasting like dish water and the eggs were like rubber. 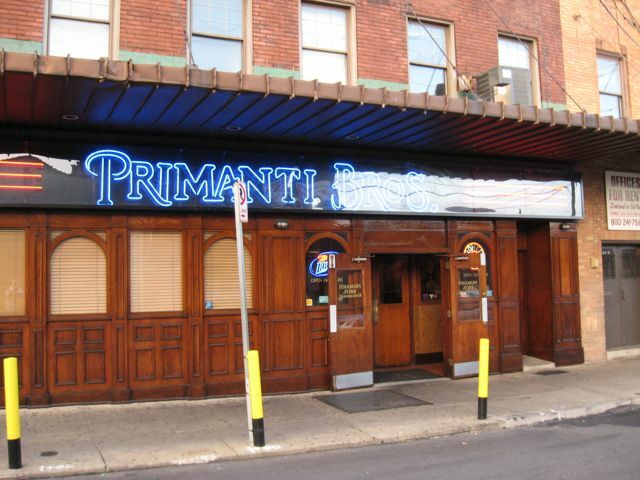 I only ate 3 bites and told the wonderful waitress to throw the rest away, Note: She never asked, “is everything ok?” Why is Primanti Bros. still in business? 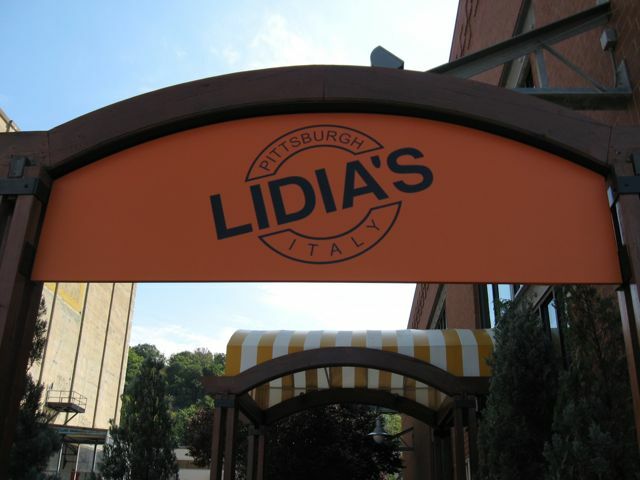 Saturday to make up for the awful breakfast, I decided to try Lidia’s the Pittsburgh outpost of the famous Lidia Bastanich. 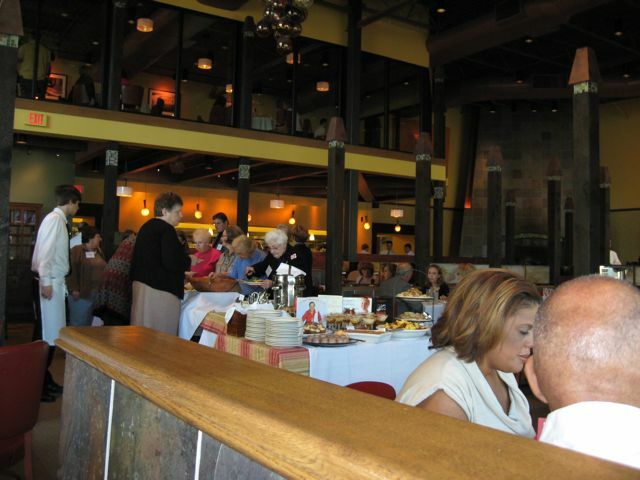 The interior is very nice, note a large number of very large patrons–there are a lot of large people in Pittsburgh, my old home town. 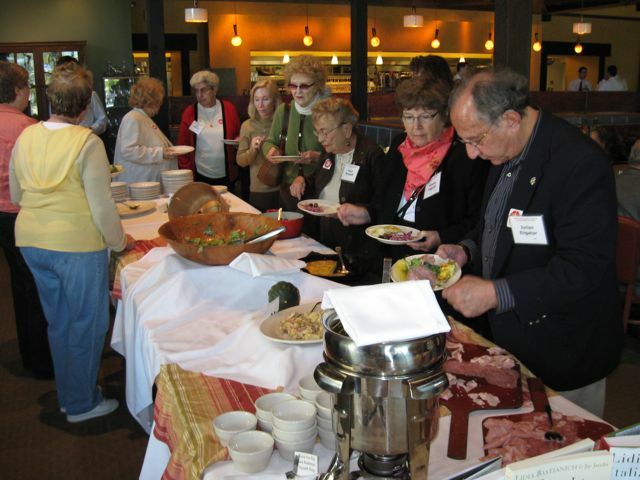 Many of the people are retirees who I think spend most of their time eating at places like Primanti Bros.
Brunch $ 24.00 includes a mimosa or bloody mary…buffet tables are very popular in Pittsburgh…people really went at the antipasto table. 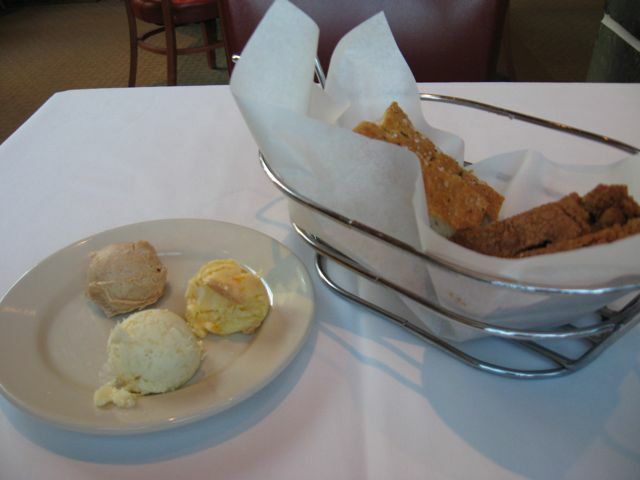 Excellent bread with 3 very good butters. 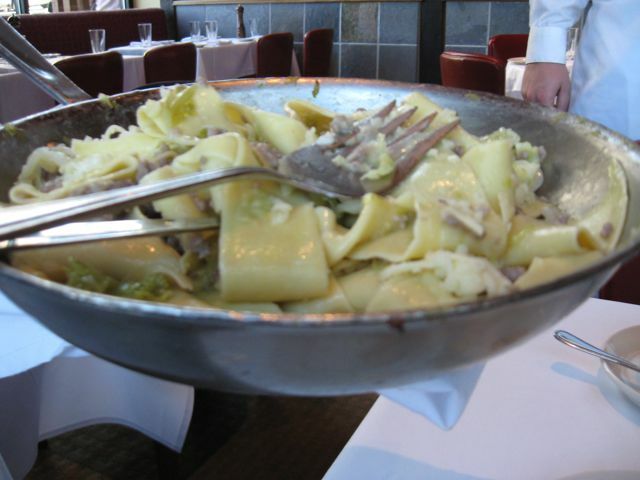 I ordered the “signature” Trio of Pastas…flat papardelle with sausage…the first serving was cold. 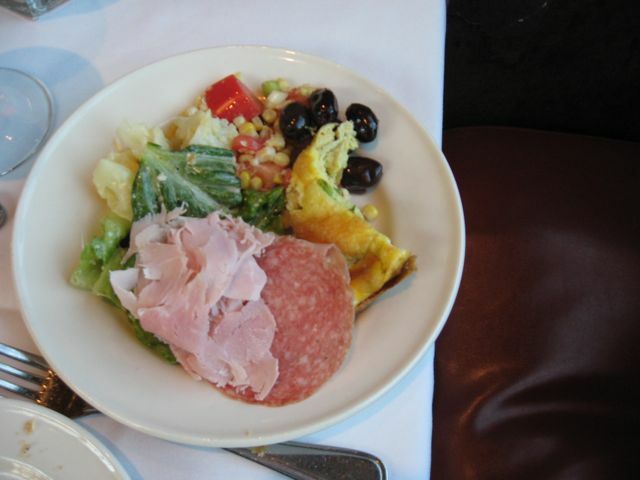 My very nice waitress got the guy to bring a fresh serving…quite good. 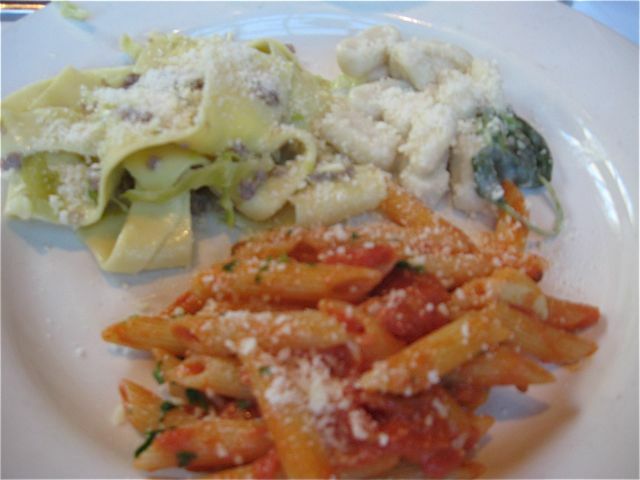 My assortment …the tomato pasta was good also. 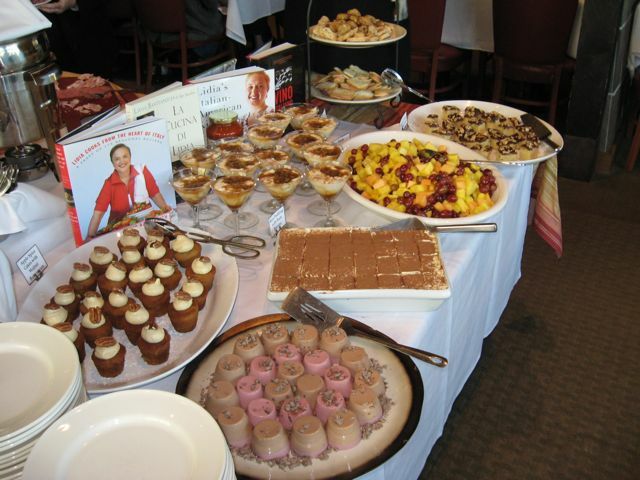 Dessert buffet–very very popular with big people…sales pitch looked good with her books. I’m from California–restrained dessert selection. Lidia’s over all was decent. Limited selection of wines by the glass. Service pleasant. I can see how the $ 24.00 [all in] price tag is very attractive. They were very busy…no recession here, but it was Saturday the day before a Steeler game at home…so many tourists up for the weekend. Would I go back–no real reason to. It has a chain restaurant feel. Final comment: You don’t go to Pittsburgh to eat.